NIA CHARLESTOWN NEVIS (MARCH 16, 2016) — Hon. Mark Brantley, Minister responsible for Foreign Affairs and Aviation in St. Kitts and Nevis is heading a high-level delegation to attend the Crans Montana Forum in Dakhla, Morocco. The meeting is from March 17-22, 2016. The other members of the delegation are Lorna Hunkins, Senior Advisor in the Ministry of Foreign Affairs, Foreign Service Officer Asha Desouza and Youth Representative from Nevis Anselm Caines. Mr. Brantley told the Department of Information on March 16, 2016, the Forum 2nd brings together world leaders and others who shape opinion on developmental issues that impact the Caribbean as it tries to develop South-South cooperation. “This type of forum is useful for the Caribbean and Africa, in particular for Asia and others to come together to share ideas and to develop, of course, relationships which will build stronger deeper and longer lasting diplomatic relationships,” he said. Mr. Brantley said the delegation’s participation in the forum is at no cost to the people of St. Kitts and Nevis. They were facilitated by the Crans Montana Forum. He said, however, that the potential benefits of their attendance is very high and he looks forward to reporting further as the days unfold in terms of this high level discussion happening at the forum. Meantime, ahead of the meeting, Mr. Brantley used the opportunity to meet informally and held talks with Rev. 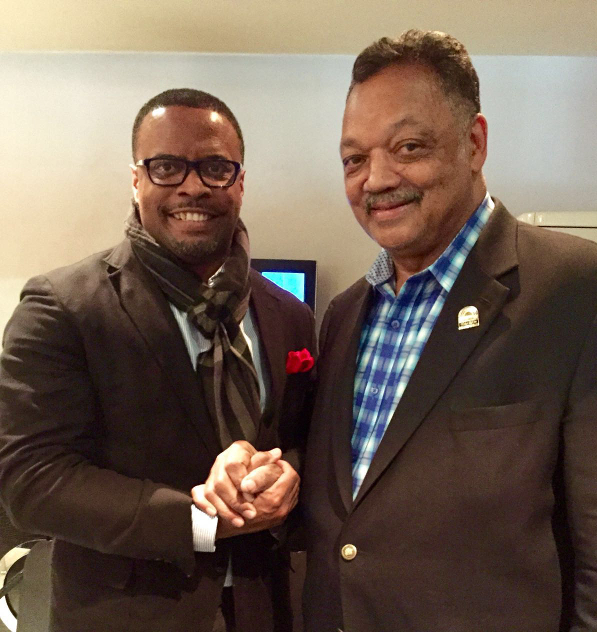 Jesse Jackson who is also a speaker at the forum. He used the opportunity to invite Rev. Jackson to St. Kitts and Nevis. Mr. Brantley said in response, Rev. Jackson advised that he had visited the twin-island state in 1989 with Nevisian actress Cicely Tyson following the ravages of Hurricane Hugo and would welcome the opportunity to visit again. Rev. Jackson is a well-known civil rights leader in the United States of America and was famously present when Dr. Martin Luther King Jr. was assassinated. He is also a former U.S. presidential candidate. Both Rev. Jackson and Minister Brantley are slated to speak on public panels during the Crans Montana Forum.